I have spent a tremendous amount of time helping to create an informative and friendly site that will help you through your journey. This mirrors my philosophy of education, intense dedication for my patients, and desire to make this a comfortable environment for you to be confident and beautiful. If you are considering cosmetic surgery in Freehold New Jersey or surrounding areas contact us today. We understand that cosmetic surgery can sometimes seem emotional and complicated when it should be happy and reassuring. Rest assured that your fears and concerns will be addressed until you are comfortable with your individual transformation. We are dedicated to your happiness and safety and want to make you feel at home before, during, and after your visit. In our office you will be greeted with soft music and a comfortable environment that will make you feel at home instantaneously. 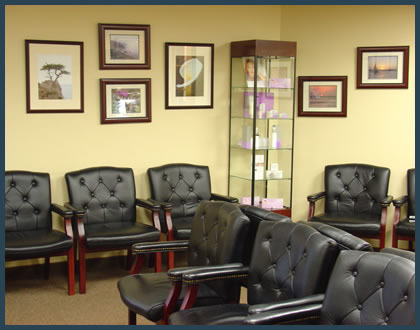 You can relax in our serene reception area just before you see Dr Patel. In the meanwhile you can flip through informative brochures about medicine and plastic surgery or look at some of the skin care products that we have available to help prevent or improve all types of aging and acne. Our Patient Coordinators will be able to help introduce you to the practice and help you through your journey here. Dr Patel has hand-picked and trained every world class member that works with him and keeps everyone up to date with the latest in plastic surgery. If there is anything they can’t answer, Dr. Patel can answer you directly. You will see Dr. Patel’s philosophy of comfort, knowledge, and excellence in every aspect of your experience. Our office is located in the heart of New Jersey, with easy access from the Garden State Parkway and Route 9. We proudly serve Monmouth and Middlesex Counties, New Jersey and New York, and beyond. Look around our web home and then call us to see what a great experience you can have. Need info to put here!